Our friendly team have been removing rubbish from Sydney homes and business for over 15 years. There's no area in Sydney that our team can't go — we can get to you promptly. We've included just some of the areas we frequently service below, but it doesn't matter if your suburb isn't there, we can still help! Call us now on 0402 737 046. Being the business centre of Australia, it's no surprise that there is a lot happening in the middle of Sydney! With a huge amount of businesses scattered throughout and compact housing, there's always plenty of rubbish being produced in the area. If you need rubbish removed, call our team today! Sydney's Eastern Suburbs are home to over 250,000 residents spread across several postcodes and suburbs. It's a beautiful area and is a one of Sydney's most sought-after locations for the lifestyle it can provide. If you're fortunate enough to live or work in the area and are in need of rubbish removal, call Same-Day Rubbish Removal! Spread across almost 6,000 square kilometres, Greater Western Sydney is home to around half of Sydney's residents. This may sound like a huge area to cover with our rubbish removal service, but we manage to do it! We've got trucks ready to come to your location, so give us a call. The Canterbury-Bankstown region covers a broad area and incudes a range of land developments including high density housing in the east, larger family homes in the west, and natural parklands to the south. Many young families choose the area as a place to live as it is more affordable than other Sydney areas like the Inner West. There's plenty of rubbish to be removed around here, as we frequently find ourselves doing jobs in the area. The Hills District of Sydney goes by a number of names, including Hills Shire, the Hills, the Garden Shire, Sydney's Bible Belt, or Baulkham Hills Shire. 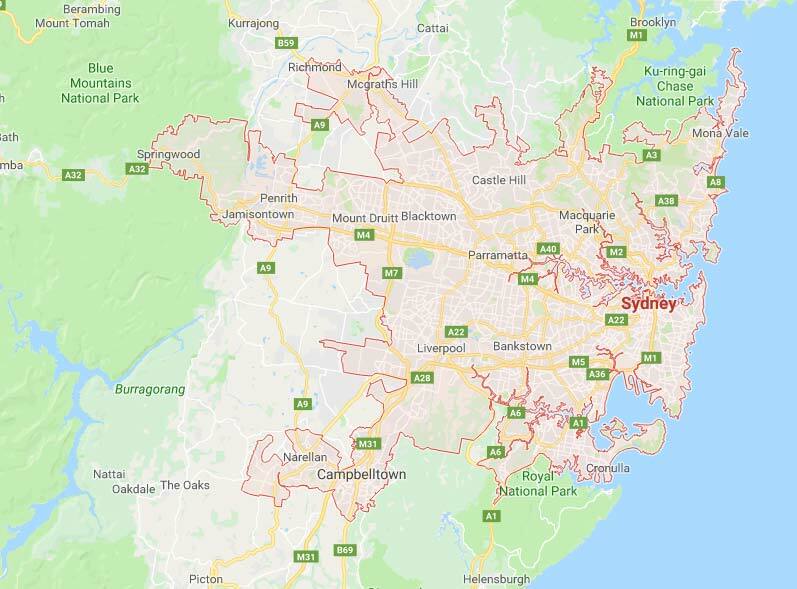 Whatever you call this North Western area of Sydney, just know that our friendly and experienced team service the area and can come and take away your rubbish today! Many people choose to live in South Western Sydney for the more affordable lifestyle that it has to offer. While there's still hundreds of thousands of residents, they're all spread out a bit more than many inner-city areas. If you've got rubbish in the area, call our team today! The Inner West refers to an area that includes around 50 suburbs, located between Sydney's CBD and Parramatta making it a fairly busy area with large amounts of housing as well as businesses. With its high population, there's always rubbish being produced, and we frequently find ourselves attending jobs in the area. Call us now for Same-Day Rubbish Removal! Extending from the entrance of Sydney Harbour, all the way up to the entrance to Broken Bay, the Northern Beaches includes a significant number of suburbs including some highly sought-after areas, such as Manly. It's a great place to live if you can afford it! If you live here, you probably have better things to do than remove rubbish - let us do it for you! The North Shore includes both the Upper and Lower North Shore areas, covering a large area of Sydney's North. The majority of land here is used for housing, being just over the harbour from Sydney's CBD. Despite the many hills and valleys in the area, our team can come to you anywhere! Give us a call today. Also known as the Macquarie District, Central North, Ryde District and Inner North-West, there's a lot happening in Sydney's Northern Suburbs. With easy access to Parramatta, and not a far drive to Sydney's CBD, there's nothing too far away if you don't already have it nearby. Same-Day Rubbish Removal can come to your door - call us now! Known to some as "The Shire", the Sutherland Shire includes a wide area to the south of Sydney Harbour. With popular suburbs like Cronulla, it's not a bad place to live, particularly that it's not far from the Royal National Park. If you've got rubbish at your Sutherland Shire home or business, give us a call! The St George region sees a lot of people travelling through the area, as Australia's largest airport is located here. While most of these people won't create enough rubbish to need our service, actual residents often do! We can be at your St George home in no time to take your junk away. As seen above, Same-Day Rubbish Removal does collections in a wide range of suburbs and regions across Sydney. While we haven't included all locations in the list, there really is no place we can't go. This service map includes it all - any area in red (all of Sydney) is part of our regular service area. It doesn't matter what type or amount of rubbish you have (couches, fridges, beds, you name it! ), our trucks can fit a huge amount of items, and we can quickly do multiple loads if necessary. If you're still not sure whether our team can come to you and whether our service is the right thing for you, give our friendly and experienced team a call now on 0402 737 046. We look forward to assisting!